•	DM Clinical Hematology -All India Institute of Medical Sciences (AIIMS) •	MD Internal Medicine •	MBBS •	Fellow Ship BMT - Leukemia/ BMT program of British Columbia, Vancouver General Hospital and BC Cancer Agency, Canada. Click on instant booking above, if doctor is available then automatically time slot gets booked for you. Select your date and time form above and click to book the slot of appointment. · Leukemia/BMT program of British Columbia, Vancouver General Hospital and BC Cancer Agency, Canada. 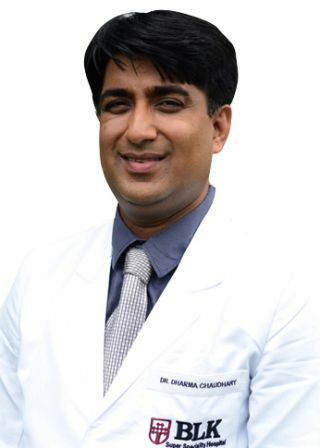 · Sharma SK, Handoo A, Choudhary D, Dhamija G, Gupta N. Severe gastrointestinal mucositis following high dose Melphalan therapy for multiple myeloma. World J Gastroenterol. 2013 Feb 7; 19(5):784-5. · Sharma SK, Choudhary D, Handoo A, Kharya G, Gupta N, Pavecha P, Chadha R. Gelatinous transformation of bone marrow following the use of dasatinib in a patient with philadelphia chromosome positive acute lymphoblastic leukemia. Leuk Res Reports 2013; 2: 7–8. · Choudhary D, Sharma SK, Gupta N, Kharya G, Pavecha P, Handoo A, Setia R, Katewa S. Treosulfan-thiotepa-fludarabine-based conditioning regimen for allogenic transplantation in patient with thalassemia major : a single center experience from north India. Biol Blood Marrow Transplant. 2013 Mar; 19(3):492-5.